I remember what it felt like when I got my nursing pin. I remember my first day of clinical and my very first patient. I remember that feeling I got in the pit of my stomach when a code was called. Mixing IV fluids, doing divided doses for narcotics on paper and having another nurse sign off on my math. Mixing chemotherapy (usually methotrexate) and doing narcotic count at the end of every shift. Adding up I and O's manually. Calibrating IV burettes every hour or sooner. I remember the first patient I had that died, a child and I wasn't even 20 yet myself. I remember having a patient with a fever and rash admitted on Friday and when I came back to work on Monday that eight year old was deaf and brain damaged from measles. I remember thinking that we were practicing the most scientific and advanced level of nursing care, with the most sophisticated equipment. And back over 40 years ago, we were. If someone had asked me then, what would nursing look like 40 years in the future, I would have been way off. 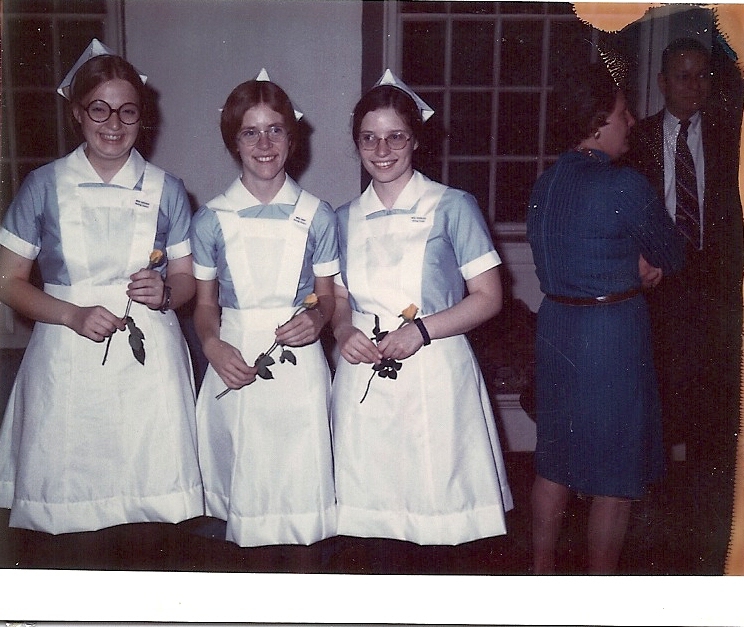 So as we celebrate Nurses Week this year, I am wondering what nursing care will look like in forty years from now... heck even 10 years from now. And I think most of us will be way off. But what will never change is the way nurses are devoted to their patients and the many different ways we care. To all my nursing colleagues past and present, happy nurses week. 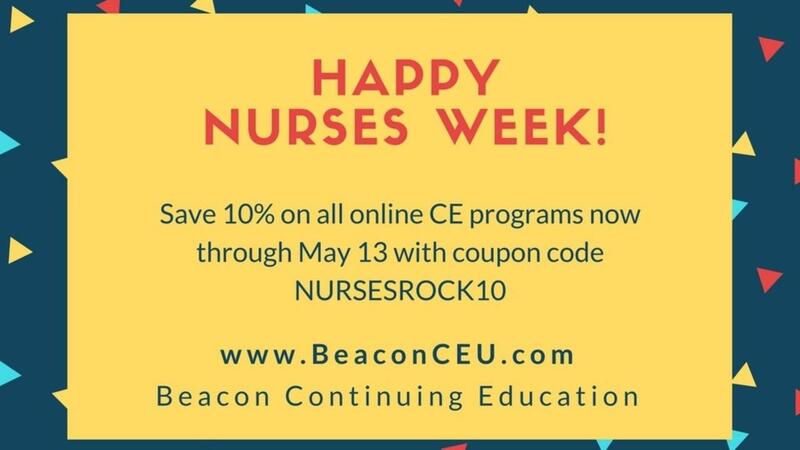 As a small gesture of thanks for all you do, Beacon Continuing Education is offering you a coupon for 10% off all our online CE programs.